I hope you all had a wonderful, long Thanksgiving weekend. Mine was great. Wonderful food, I started my Christmas shopping, visited with friends and family and best of all- I had time to read and just relax. This is THE best bow making tutorial I have ever seen. I love big beautiful bows and now I can make my own. Makes me smile every time I walk into the room! Have you started decorating for Christmas? Do you have any special projects you would like to do? I am really looking forward to this year’s Christmas because we are all going to be together! Yay! [pinterest]I found a few new design books just in time for my Christmas list. I love to receive new books and I think they make a perfect gift. Happy Thanksgiving my Friends! I hope you have a safe and happy Holiday! And I forgot to enter! awwww….. This year I am keeping it simple and fun to do. 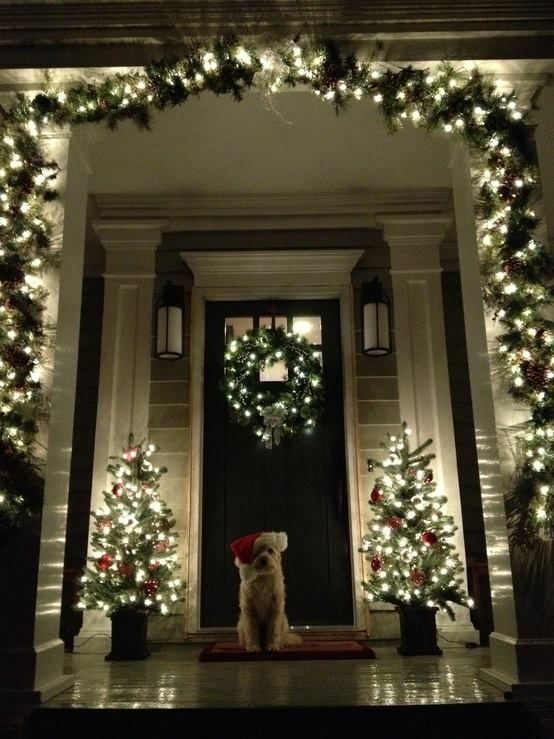 Have you started Christmas decorating at your house? Did you notice that sometimes white ceilings look gray? Especially in the corners? If the ceilings were painted in a pure, clean white such as Benjamin Moore Decorators White, that could be the reason. I have learned to never use a pure white on the ceiling because the blue undertone will often appear gray and flat. Why? Because white has no where to go except to gray when the lighting is dim. And who shines a bright light onto the ceiling? That’s why ceilings can look so dingy even after they are freshly painted. Another clean white paint example is Benjamin Moore’s Pure White. Just a color tip to consider next time you are choosing a white for your ceiling. Have you ever painted a clean white and thought it looked gray? When conducting a color consult for a client, I certainly never look at colors that I have never used and trust. So… my aha color moment is that I am going to choose 150-200 paint colors total, that I have used and are trusted, and make myself color boards for just those favorite colors! I have my lists of best gray green paint, best whites with yellow undertones and all my beige colors broken down into undertones. Plus the best red paints, browns, and turquoise blues, etc. I am going to paint sample pages that will fit into a binder so that I will be able to look at my color samples quickly instead of jumping all around in the different fan decks. No more carrying around heavy color sample suitcases so I can leave a 3 x 3” color sample with the client. No more hesitating when choosing that perfect color for a client’s home. I will always have my favorite and best colors at my fingertips. I am still throwing ideas around but don’t you think it is a practical idea? Say I am looking for the perfect gray green paint color. Instead of going through all my fan decks to make sure I am not missing any other perfect gray greens, I already have pulled them out and have them in my collection. Big timesaver! Do you see any drawbacks to this process? Any other thoughts? “Northern Rose was chosen from our design archive, the beautifully painted fresh design in vibrant pink and explosive blue with lush embellishments was picked as it represents the optimism that is spreading across the country as a whole, whilst retaining a certain British, vintage charm.” The company is based in London. Cute! I think it would look great in a bath or powder room. Happy and colorful! Or an entry would look fabulous, don’t you think? Have you used wallpaper lately? It is easier to install these days and there are gorgeous colors and patterns to choose from. Important question: Does anyone know if it is easier to remove the new wallpaper today than in the old days? Does anyone remember that job? !